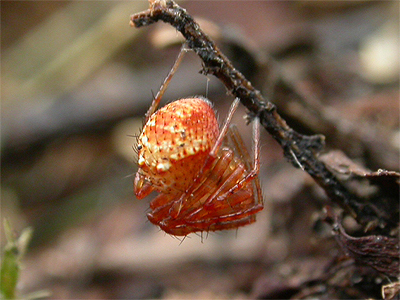 One of four species commonly referred to as Pirate Spiders, with distinctive tubercles on the abdomen. 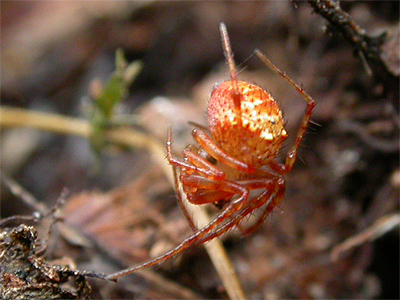 Ero cambridgei is a fairly common spider found in a band stretching from Moorbridge Pond at Bulwell, north-east through the Sherwood Forest area and reaching as far north as Misson Carr. The two photos show an extremely colourful sub-adult found at New Ollerton in early November 2010, but not all specimens are of this colour. 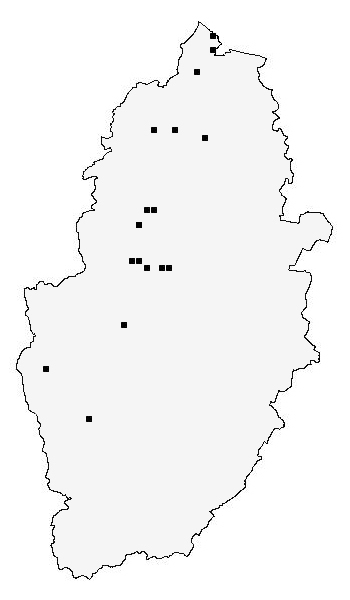 The records for the Nottinghamshire distribution map are currently provided by the following contributors - British Arachnological Survey (Sherwood Forest Country Park Arachnid Survey 1978-1979 Report). Trevor and Dilys Pendleton. Howard Williams. Stuart Warrington. The National Trust (Clumber Park invertebrate records). Bob Merritt. Nottinghamshire Wildlife Trust.